If you never watched the 2004 documentary Super Size Me, then the genius of this title is wasted on you. Either way, it's the best that's coming to me on a Sunday evening fresh from a train journey after a weekend in London. Oliver and I headed to the big smoke to have a mooch about and catch up with a dear old pal of mine. 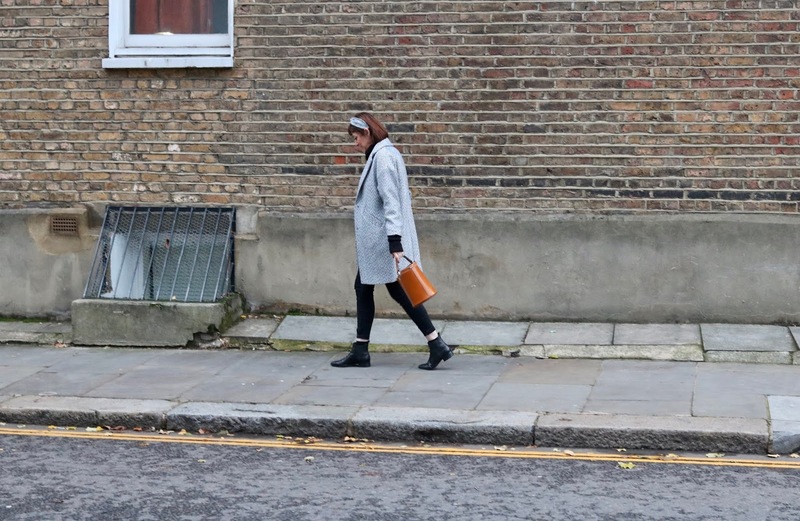 In an unfortunate twist of fate, my friend fell ill and cancelled, so we spent a Saturday in Notting Hill just the two of us, with only a whiff of Monica and Chandler when the friends they meet on holiday bin them off, about us. As a change from the usual, I wanted to share some recent purchases with you. It's been a while since I did an outfit post which ideally I'd like to do more often, but I'd forever be buying new clothes and although I could live with that, I've already learnt that an endless stream of new dresses doesn't bring you happiness. 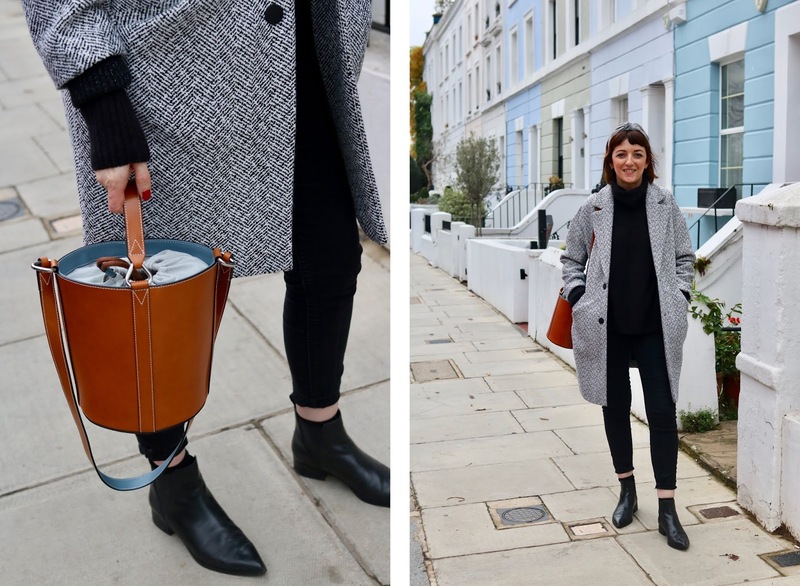 It's oversized coats, snuggly roll necks and bucket bags that does... silly. 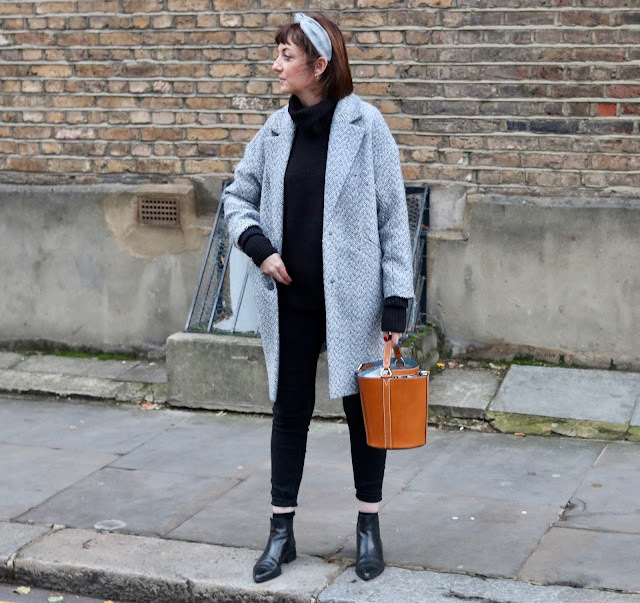 Worn with an oversized roll neck from & Other Stories, my favourite place for knitwear, and most other things to be honest. Their knitwear tends to be priced slightly higher than other high street stores but I find the quality to be so much better. The bucket bag is Other Stories too and will be accompanying me on city breaks for the foreseeable future. It holds deceptively more than you'd think. Just the job for when afternoon drinks turn into night. 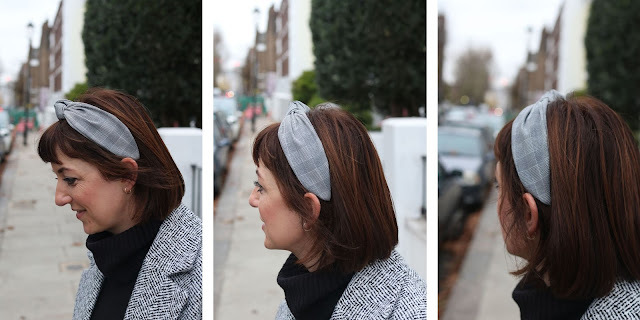 I've linked everything below, except for the pièce de résistance ... the hair band. I've linked a similar one as this one, which I only bought this week, isn't available on-line now. Sold out or removed immediately? You decide. Hair bands saw that scrunchies were back and realised, It's Time Lads! Thanks so much for reading, hope you enjoyed it. If you catch me wearing a head band with my name written on in multi coloured pens @ me. 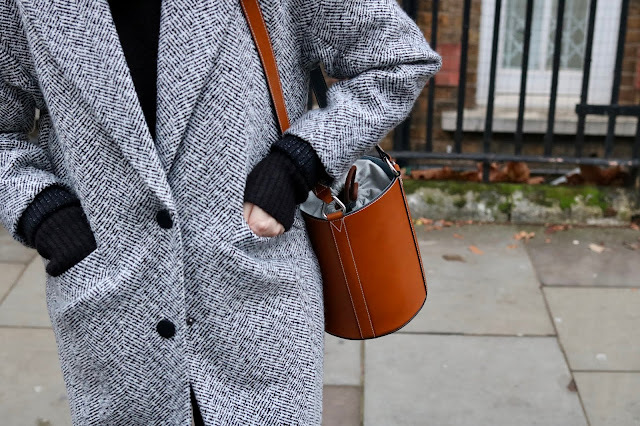 Topshop coat - currently in the sale! Nice Collections And excellents Reads!